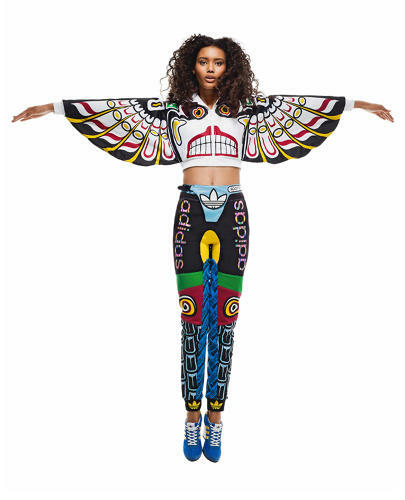 … and the continuing legacy of Native appropriations in American fashion. 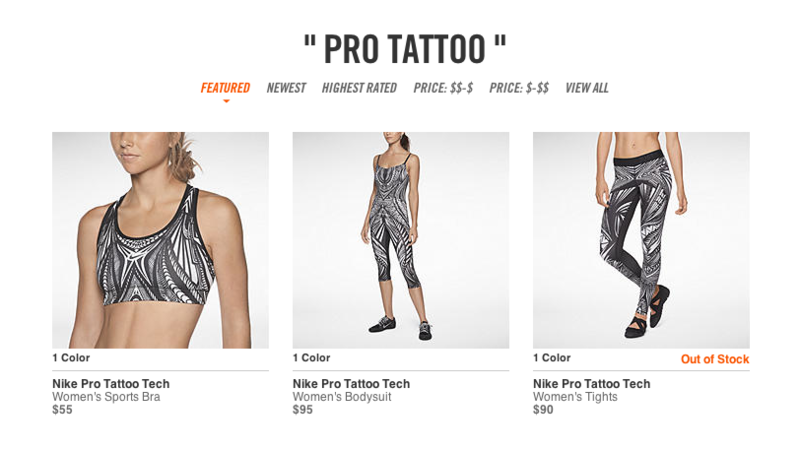 Image 1: Nike’s “Pro Tattoo” collection of women’s exercise apparel, before its discontinuation. 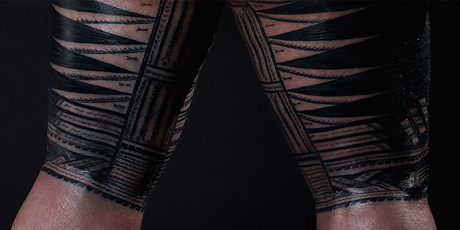 The specific culture in this case was the Samoan community, who were outraged that Nike would reduce their millennia-old ritual tatau to a print manufactured for commercial exercise clothes. However, Nike’s vague apology and implicit denial of full responsibility because they didn’t “intend” to offend anyone is a familiar excuse in similar disputes. These apologies only tacitly admit wrongdoing and make one wonder whether the companies and their design teams pay any attention to their own market. If they did, they might notice the frequency with which high-profile clothing retailers are criticized for insensitive appropriations of indigenous design traditions. In the past two years, there have been campaigns waged against offensive products by Urban Outfitters, Forever 21, Victoria’s Secret, and Adidas. Image 2: Victoria’s Secret’s 2012 runway show personified “November” wearing a bizarre mix of Native Indian regalia. Some protests have won apologies and the disappearance of targeted items. When Victoria’s Secret filmed their annual televised lingerie spectacular in the Fall of 2012, model Karlie Kloss dressed as “November” in a parade of scantily-clad calendar girls. Her gaudy ensemble consisted of a bizarre assemblage of garments ripping off the regalia of distinct Native American tribal groups: a giant feathered war bonnet, silver and turquoise jewelry and concha belt, a fringed “buckskin” bra and heels, and an inexplicable leopard-print bikini probably meant to suggest a general exoticism [Image 2]. Before the runway show aired, photos of the outfit went viral online. Native activists threatened to boycott the brand, and forced Victoria’s Secret to omit the look from their broadcast in December. Negative responses to crass caricatures and eroticized stereotypes of Native visual and material cultures go beyond opposition to the corporate monetization of cherished culture. Members of Native communities often condemn the blatant disregard for the meaning and significance of appropriated objects, designs, and traditions, and tend to react strongest to the most tasteless treatments. Writer Ruth Hopkins and other commentators on the Victoria’s Secret affair pointed out that it was senseless for a model to wear articles of unrelated tribal costumes together, especially those that were not just secular but ceremonial or spiritually significant. Wearing feathers or a war bonnet was an honor that had to be earned, as Hopkins explained in her open letter to Victoria’s Secret. Among her people, “the Oceti Sakowin (Sioux), war bonnets are exclusively worn by men, and each feather within a war bonnet is symbolic of a brave act of valor accomplished by that man.” She was shocked and upset to see a version of the headpiece worn by a nearly naked woman. Image 4: Patterned “Navajo” products offered by Urban Outfitters included a flask, socks, and underwear. A thoughtful collaboration can go a long way toward encouraging acceptance by Native communities. Pendleton Woolen Mills is a Portland, Oregon-based non-Native company that has been manufacturing textiles inspired by American Indian design motifs for over one hundred years. Over their history they have fostered sound relationships with Native groups, who now incorporate Pendleton goods into their daily lives. Cherokee, Navajo, and other Native families observe important events like graduations, birth and death commemorations, and as thanks with the gift of a Pendleton blanket. In contrast, Urban Outfitters suffers from an extremely negative relationship with the Navajo. In 2011, the company offered jewelry and accessories, including women’s underwear and a flask, decorated with derivative “tribal” patterns and named to suggest they were authentic Navajo items [Image 4]. The Navajo Nation issued a cease-and-desist order, but Urban Outfitters issued no apology, refused to discontinue the merchandise, and forced the tribe to file a lawsuit citing federal copyright infringement to defend their property. Aside from the illegality of using the Navajo name as a marketing tool, Urban Outfitters’ choice of merchandise proved a flagrant insensitivity to such issues as the high rates of sexual violence and alcoholism on some North American reservations. Image 5: Proenza Schouler’s Fall 2011 collection included patterned garments inspired by Navajo weaving. devalue the meaning and quality of the original source material… When companies like Forever 21, Urban Outfitters, or Adidas put out tacky images like this, they perpetuate the idea that Native American people have no sense of ownership or artistic legacy when it comes to our art, and anyone can steal it, tack their name on it, and make a buck—all the while putting forward the idea that our art is ugly and cheap. Image 6: Jeremy Scott’s designs for Adidas crudely approximated the complex formline motifs of Northwest Coast region totem poles. Appropriation of indigenous visual culture by the fashion industry is nothing new in the United States, as a new exhibit at the Bard Graduate Center for Decorative Arts, Design History, and Material Culture gallery proves. An American Style: Global Sources for New York Textile and Fashion Design, 1915-1928, reveals how the practice was carefully cultivated and promoted during the nascent years of American fashion design. The pursuit of a uniquely American aesthetic was propelled by nationalistic zeal and the need to fill a void left by dominant European fashion houses whose industry was halted by World War I. To that end, curators from the American Museum of Natural History in New York—in collaboration with Women’s Wear writer and eventual Museum of Costume Art co-founder Morris de Camp Crawford—instituted a program that granted textile and fashion designers unprecedented access to ethnographic collections. Designers sketched objects in a specially prepared study room, attended weekly lectures on regional indigenous textile arts, and read illustrated publications issued by the AMNH. In November 1919, AMNH’s Exhibition of Industrial Art in Textiles and Costumes featured successful products by H.R. Mallinson & Co., David Aaron and Co., Stehli Silk Co., Harry Collins, Jessie Franklin Turner, and Max Mayer alongside the museum objects that inspired them. Visiting the museum study collection had prompted Jessie Franklin Turner to design a woman’s negligee based on a Nigerian Hausa robe, a garment traditionally worn by Muslim men of high social standing. Turner’s version was designed in velvet, with the Hausa motif embroidered in wool. Like Turner’s gown, a suit jacket by Max Mayer designed for A. Beller & Co. was inspired by male costume but designed for the Western market to be worn by a woman. Mayer’s source was an umpak linombos jacket worn by male members of the Bagobo, an ethnic group in the Philippines. The collarless jacket was constructed from red or blue rectangular pieces of traditional abacá cloth, and decorated with white beads, shells, sequins, and embroidery over the seams and edges. The fashion industry of the early 20th century was as vigorously focused on promoting fast-changing women’s styles as it is today. Even though the industrial art program at the AMNH provided an ostensibly educational context, the institution was obviously courting a commercial agenda. During collaborative study years, there seemed to be few qualms about transferring men’s garments, even those with religious associations, to women’s fashions in service of creating an “authentic American style that… could be celebrated as ‘intimately and unquestionably our own.’” Yet the 1919 Exhibition marked the end of the AMNH’s active collaboration with the industry; they soon returned to a less commercial mission. In 1915, “An American Style” explains, American designers and the “fashion staff” of the AMNH were “inspired by the imperialist notion that the European-American culture could lay special claim to indigenous artifacts from the Americas.” The exhibit at the BGC unfortunately does not trace Native reaction to any specific appropriation, but the early 1900s did not provide the same rapid dissemination of images or the immediate venue for protest as the Internet age a century later. The idea to form a modern period style using the “naivités” of indigenous art as an ideal and “unspoiled” source seems imperialistic and outdated, yet instances of appropriation persist. Heightened connectivity should work as a two-way street of heightened awareness. Today, designers need not visit a museum study room to encounter inspiration; they have unprecedented access to imagery from around the globe, though cultural context and significance is easily ignored online. Retailers should be more aware of themselves and their cultural relationships, and not allow design in the 21st century to be reigned by ignorance and imperialism by Google. Horyn, Cathy. 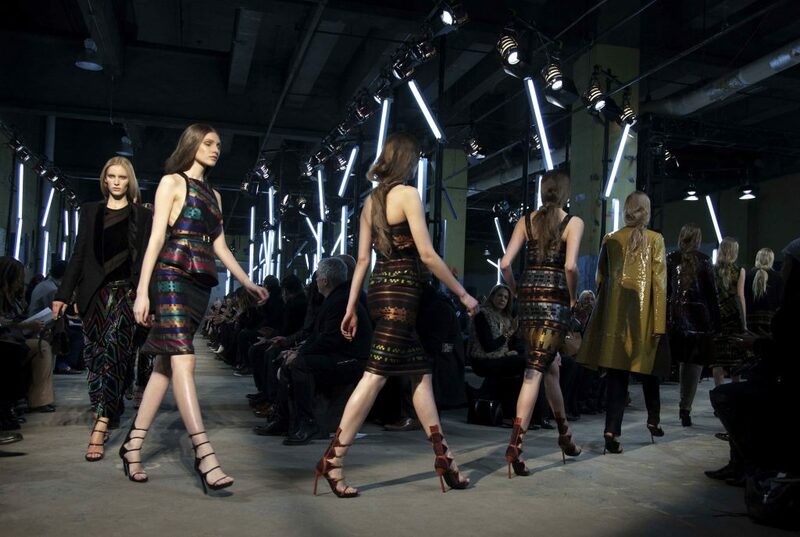 “Proenza Schouler: Into the West.” On The Runway (blog). New York Times. February 16, 2011, 11:51 PM. runway.blogs.nytimes.com/2011/02/16/proenza-schouler-into-the-west/. “Urban Outfitters and the Navajo Nation: What Does the Law Say?” Jezebel (blog). October 13, 2011, 7:00 PM. jezebel.com/5849637/urban-outfitters-and-the-navajo-nation-what-does-the-law-say.